I am in my mid 40's, married with two daughters, and a former nurse. 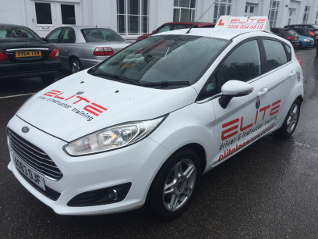 Since leaving the care profession in 2009, after training and qualifying with ELITE I have been a full time member of the ELITE driving instructor team, and I love the job! In that time I have have a long list of satisfied customers who are now the proud owners of a full driving licence, a good number of whom have laid testament to their personal experience through our reviews page. With me you get a calm, intuitive and most importantly, patient person, who offers fun and pro-active driving lessons. I believe in tailoring my lessons to each individual pupil and allow every pupil to learn and develop at their own pace. No grumpy, shouting instructor here!! One of my previous pupils who was a band member of Damion Marley's band (yes, son of the great Bob Marley!) said after passing his test on the first attempt "Chris, you are the man!" I'll take that! If you're in my area and looking for lessons, I look forward to meeting you. "All 3 of my kids have passed first time with Chris Lisney. Lovely, laid back instructor with a calm approach. Thanks so much Chris, I shall recommend you to anyone who asks. Ellie is looking forward to having a motorway lesson soon." 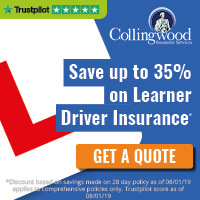 "I was a lapsed learner, having failed my test a few years ago, and had recently had a bad experience with an instructor in my area, so it is fair to say my confidence was pretty low by the time I met Chris. However, from the very first lesson, Chris really helped to build my confidence and helped me to see that driving really isn't all that difficult. I passed my test with only 3 minor faults." "The more I drove with Chris, the more confident I felt, and I really responded well to his very calm and constructive style. My lessons were packed with actionable feedback and I felt like I was learning to be a safe and competent driver, rather than cramming for a one-off test with lots of irrelevant jargon and procedures." "In a lesson with Chris, you can expect a calm and patient instructor, very clear and simple instructions and examples, and lots of time spent on the road dealing with real-world situations in a safe, confidence-building way." "I really can't recommend Chris highly enough." "I've just passed my test after being taught by Chris! After a very bad experience with a previous driving school, I was a very nervous driver, lacking self confidence. I developed in leaps and bounds as soon as I started learning with Chris, surprising myself with every lesson in how much I was able to do. I'm very grateful for Chris' patience and clear teaching style!" "I cannot recommend Chris as an instructor. I passed my driving test yesterday due to having full confidence that he had instilled in me over our course of lessons. He was incredibly patient with me and my many questions. If you are looking for an instructor then Chris is who you should go with." "Looking for a driving instructor? Then look no further… there's no one better than Chris Lisney! As a learner driver you are going to make mistakes. It is inevitable. However, with Chris's patience and reassurance your confidence will grow with every lesson. It is clear that Chris is passionate about his job and wants the best out of his students. He takes care in explaining things in a way that will make you feel comfortable and at ease. His positive nature means that nothing is ever too difficult when learning to drive, after all you're still a learner. What I can assure you that is by sticking with Chris you will get the result you deserve!" "I had been learning to drive with a different instructor. When I failed my first test and needed to rebook quickly, my instructor was away. I was recommended Chris Lisney by a friend whose two very different teenagers had both loved him. I was told "He's unflappable, totally calm and steady, he'll fill you with confidence." I got in contact with him 2 weeks ago. This afternoon I passed my test with only 3 driving errors." "I must stress that the odds were stacked against me: I had lost my confidence, I'd become used to another model of car, I still had gaps in my knowledge and I'm an incredibly anxious person. Chris is everything I was told he is; the embodiment of calm. He makes every aspect of driving achievable. Nothing ambiguous or ephemeral about his approach- just foolproof systematic techniques and crystal clear, concise guidance. I've not only passed my test but I will now be a safer and more confident driver for my short time with Chris. He's a master at what he does and a thoroughly lovely man; I can't recommend him highly enough." "CHOOSE CHRIS LISNEY AS YOUR DRIVING INSTRUCTOR!!!! As a learner you are going to be nervous and you’re going to make a lot of mistakes. That’s why I recommend Chris as he makes sure every lessons is targeting your weak spots and helps you build up your confidence. He’s an extremely nice person who makes every lesson relaxed and fun. You will find your driving skills expanding every lesson and at a rapid rate. SO CHOOSE CHRIS LISNEY AS YOUR INSTRUCTOR!" "I passed my test a couple days ago and had Chris as my instructor and he was absolutely amazing! Fully believed in me, worked on both my strengths and weaknesses, he was really patient and explained things really clearly. Took the time to really make sure I felt confident on the road. Would definitely recommend him as an instructor and Elite as a driving school." "I passed my test at West Wickham today Chris was amazing he belived in me and made be believe In my self that I could pass." "I just passed my test today with Chris! He is an amazing instructor; very knowledgeable, very very patient and supportive! Couldn't have asked for a better instructor. Thank you Chris!!!" "My instructor was Chris and he was absolutely amazing. Always on time, but most importantly he was always patient and really believed in me. He was born to be a teacher. Couldn’t ask for a better instructor. I passed with only 3 minors and it’s all down to him!" "I was extremely pleased with the service I received from Elite. My instructor, Chris Lisney, was the best instructor I could ask for! His patient and calm attitude made me feel very comfortable throughout my experience, allowing me to feel increasingly confident! I could not thank him enough for all of the time and effort he put in to helping me pass my test." "Chris has been an amazing instructor to me. We completed a course of driving lessons over 4 months, which allowed me to pass my practical test with flying colours. We saw each other on a regular basis and he always reassured me throughout this time which gained me more confidence as an individual and on the road. I enjoyed our driving lessons together throughout this time and always felt as though I looked forward to them. His calm nature was exactly what you need when learning to drive, as it settles you throughout your first experiences on the road. I recommend Chris to anyone who is looking to pass quickly as without him I wouldn't be in this position today." "Chris was always on time, often early and very flexible with lesson times, slightly busier on weekends but he was able to fit me in! I got a late booking on my driving test only 3 days before on a Saturday and he was able to accommodate it! With my previous instructor this would have been near to impossible due to their rigid inconvenient scheduling process." "He was very calm and understanding, even when I’d had a long day and making mistakes. He is friendly and conversational. I have already recommended him to a family member who’s finding his teaching great too!" "I’ve passed my theory test straight after my birthday and booked my practical on the same day for 14th December!!! I had a month to learn how to drive, I was really nervous but my amazing instructor Chris helped me so much, always arriving on time and explaining things properly!!! I was really happy at the end of it all as I passed 1st time with 3 minors! Thank you so much will be recommending." "I would like to say a huge thank you to my instructor Chris Lisney who was very patient with me while I was learning! With his help, I managed to pass my test first time, and he really helped me to become a confident driver. He's very good at pushing you just the right amount, to make sure you're progressing, but without making you too nervous. Chris was always on time, and often a few minutes early. Would highly recommend him to anybody looking for an instructor!" "I have just passed my driving test at Croydon with driving instructor Chris Lisney. Absolutely fantastic service provided and value for money, friendly, reliable, professional and I will definitely be recommending him to everyone I know.."
"Just like to say a huge thank to My instructor Chris Lisney who helped me pass my driving test 2nd time! Brilliant instructor, patient, gives great advice and also helps calm the nerves when it comes to driving. Definitely recommend Chris to anyone looking for a new instructor or a first timer." "Huge thank you to Chris for teaching me so well and ensuring I passed my test promptly. He's proved a very competent, encouraging instructor for myself, equipping me with the necessary skills to pass my test, as well as the skills required to become a proficient practical driver; would recommend to all."